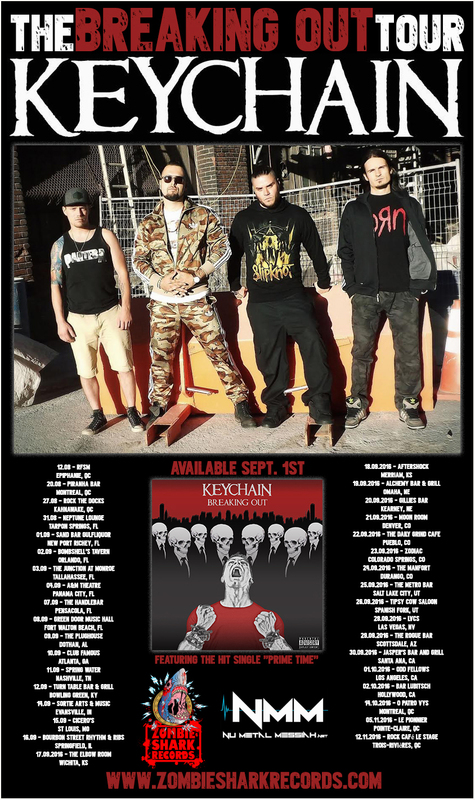 Noah “Shark” Robertson (Motograter, Ex-The Browning) has launched his new label, Zombie Shark Records, with the first signings being Montreal, Canada based nu-metal quartet, KEYCHAIN and Australian industrial, shock rock band, Darkc3ll. 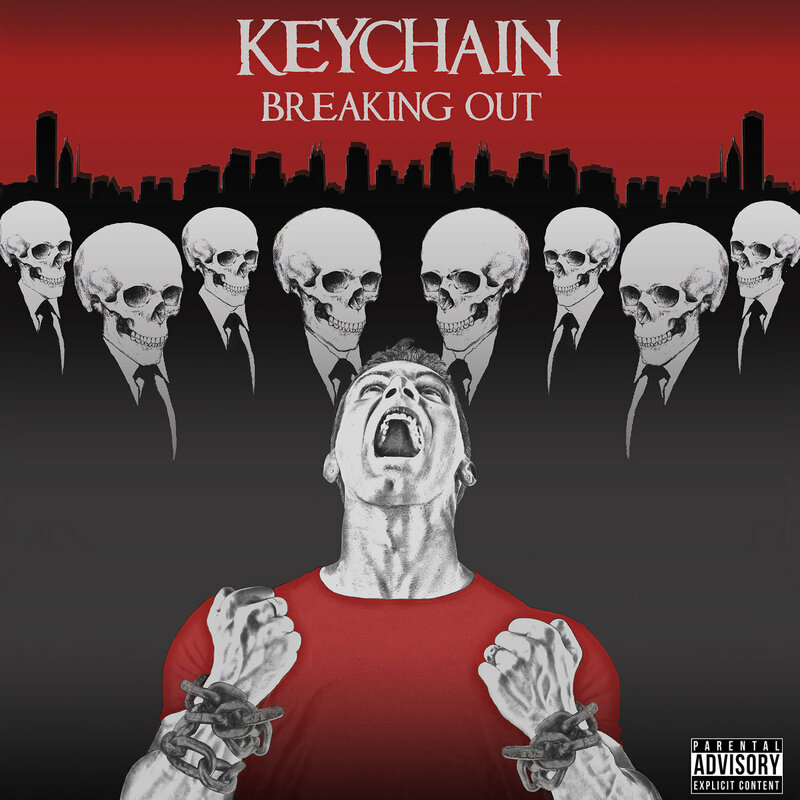 Keychain recorded their debut EP, Breaking Out, with renowned producer, mixer, and engineer Glen Robinson (AC/DC, The Rolling Stones, Gwar, Voivod,Annihilator, and Slaves on Dope). The recording was mastered by legend, Howie Weinberg, whose over 30 year career includes bands like Limp Bizkit, Sevendust, Deftones, Chevelle, and Disturbed. Breaking Out will be available, worldwide, September 1. Keychain have embarked on a six-week North American Tour in support of their debut release, which includes a few dates in Canada. 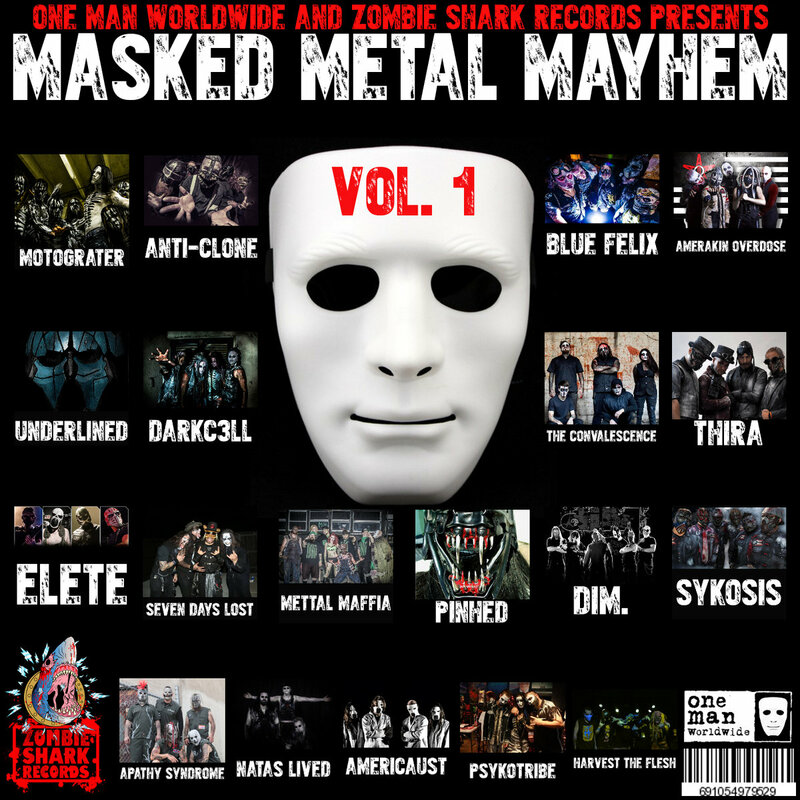 Also joining the Zombie Shark Records family is industrial, shock rock band, Darkc3ll, from Australia. 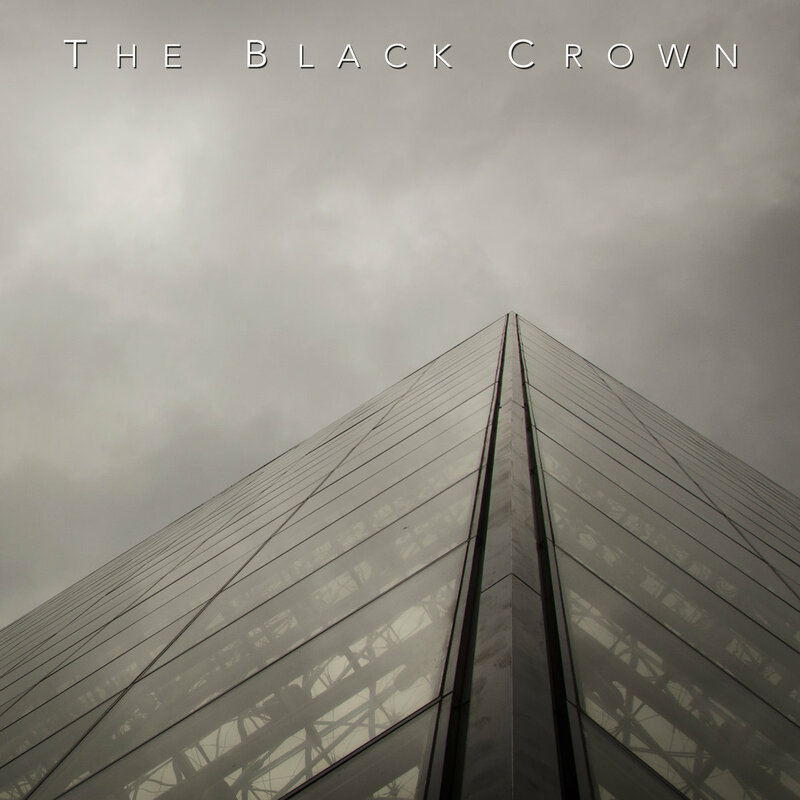 The band recently self-produced their fourth studio album in Brisbane, Queensland at RTD Studios; headed up by Darkc3ll guitarist, Matt Shorter. 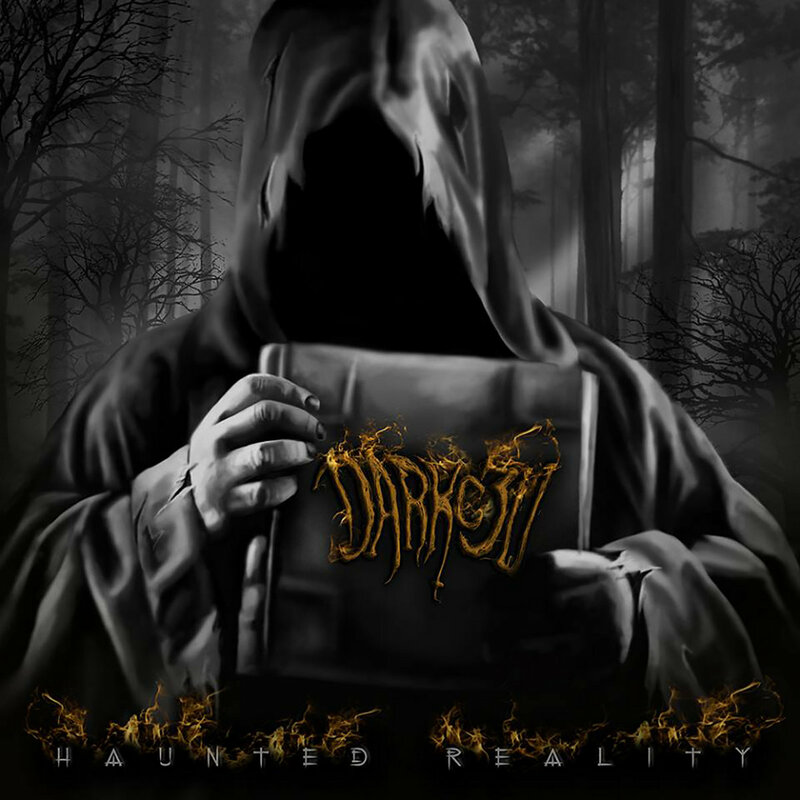 The album, entitled Haunted Reality, is set to be released on Halloween 2016 and boasts an impressive display of dark, horror art provided by Em Undead from Morbid Carousel Designs. Darkc3ll released a creepy new Official Music Video for the song, “Preacher”, via Bloody Disgusting on Friday, August 26. 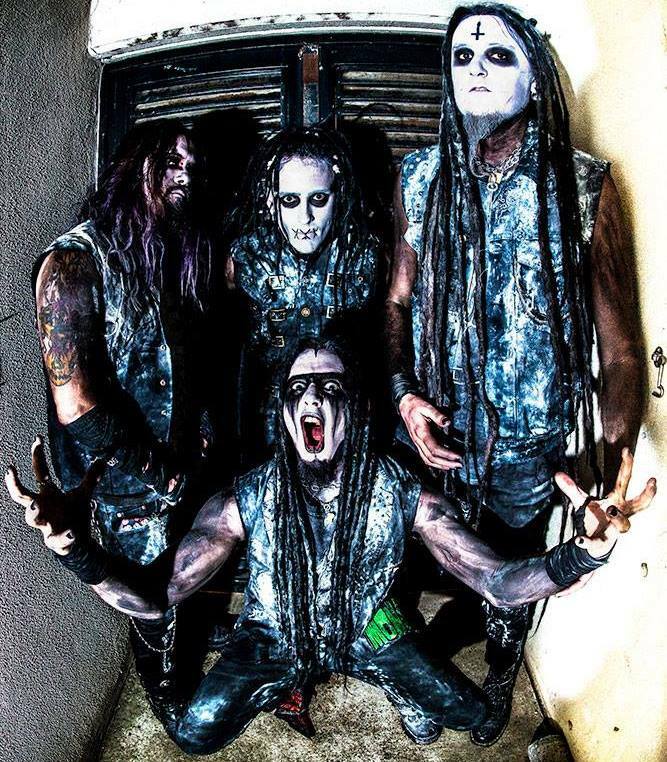 Darkc3ll is praised for their deeply industrial sound and is widely known for their highly theatrical appearance and stage show. 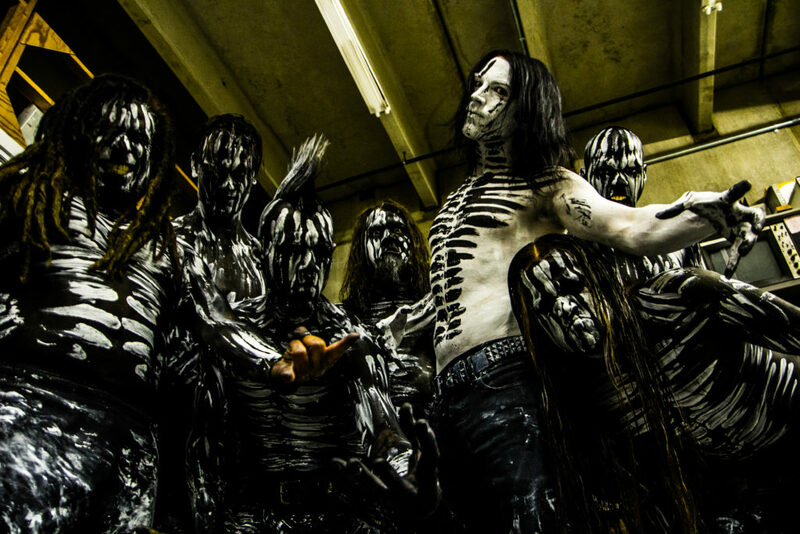 The band has toured and performed with Wednesday 13, Combichrist, Otep, and recently toured the United States on the Civil Unrest Tour with Ill Nino, Straight Line Stitch, Davey Suicide,Motograter, and more. 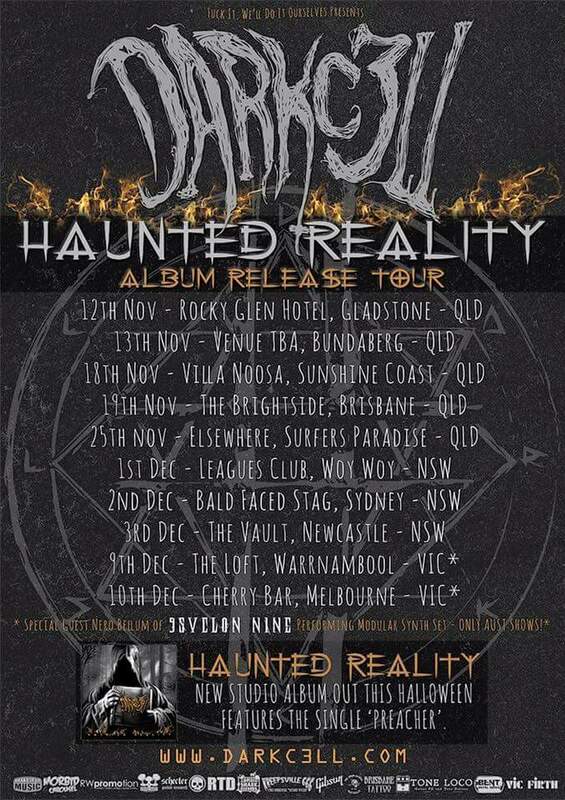 The band plans to tour Australia in support of their latest release. 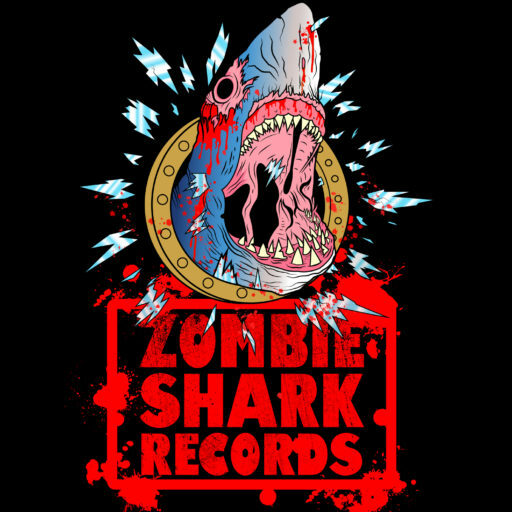 Robertson has partnered with artist Wolf Krusemark, the creator of the Zombie Shark Records logo. 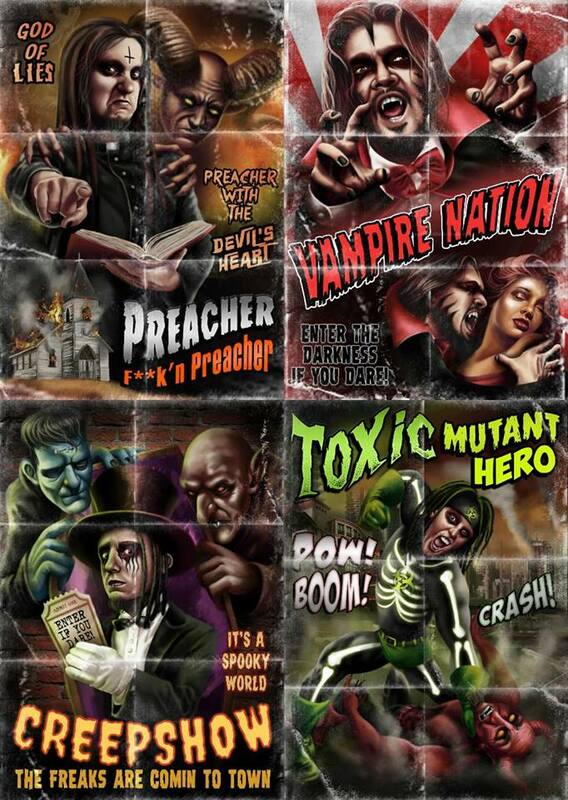 Krusemark is known for his cartoon, comic book, and horror art creations which can be viewed at http://www.wolfkrusemark.com. The label will focus on shock rock, alternative metal, industrial metal, nu metal, and hard rock. Robertson self-produced his own heavy metal radio show in College, called Swimming With Sharks, hosted on KTRL – The Planet. 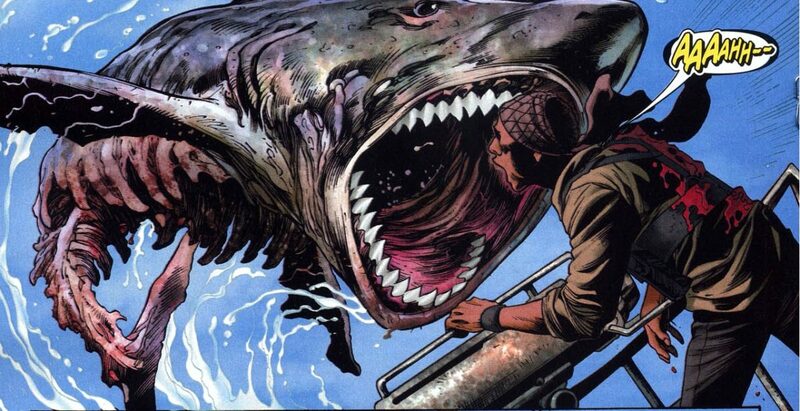 He began booking and promoting bands under the moniker, Swimming With Sharks Entertainment in 2004. In 2010, he co-founded The Browning and signed to Earache Records. Shortly after, he launched Swimming With Sharks Records in 2011 and began signing bands from all over the world, including Eye of the Enemy from Australia. 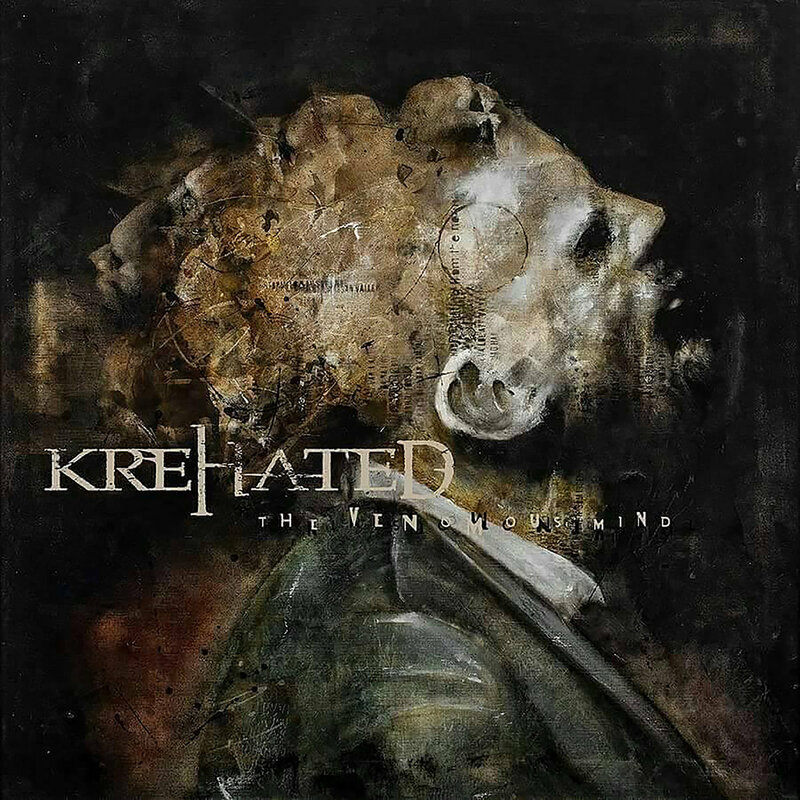 In 2012, he departed from The Browning and, soon after, joined Motograter; formerly fronted by Ivan Moody of Five Finger Death Punch. 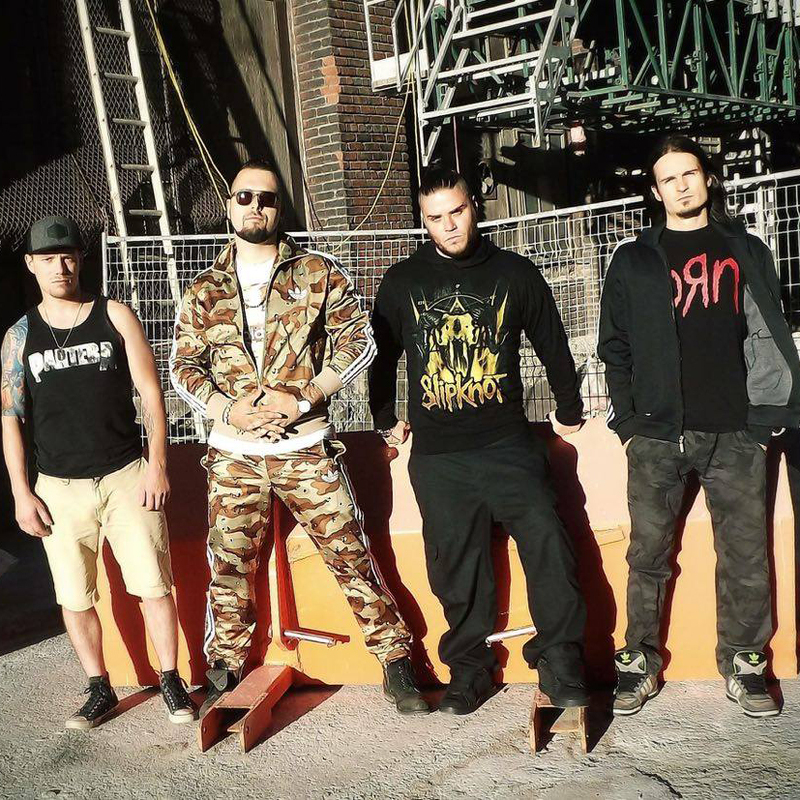 Motograter is soon to release their Sophomore album Desolation produced by Ahrue Luster (Ill Nino, Ex-Machine Head). 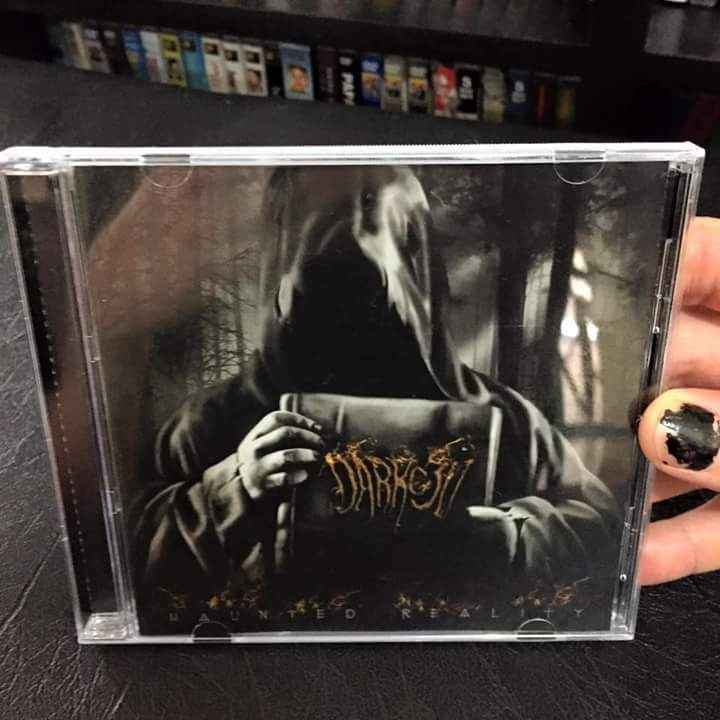 The album is being mixed by Joshua Wickman of Dreadcore Productions (King 810, Within The Ruins) and Jon Berrier will also be assisting with production as well. Motograter recently completed a North American Tour with American Head Charge and is set to embark on a six-week North American Tour with Dope and Flaw beginning Sept. 13th, 2016. In August of 2016, Thom Hazaert brought Robertson on as Marketing Director of EMP Label Group, the new record label from David Ellefson of Megadeth fame. Thom is currently serving as Director of Operations and Head of A&R at EMP and has been serving as a consultant for Zombie Shark Records. Thom Hazaert is a well-known journalist, radio personality, artist manager, music and film producer, and label executive. He was co-founder and President of Corporate Punishment Records and currently runs THC : MUSIC. Hazaert’s work was influential in the early advent of street and viral marketing among rock acts, as an independent consultant for record labels including Flip Records,Interscope Records, Warner Bros. Records, Hollywood Records, Jive Records, and as co-founder of Total Assault Street Teams. Hazaert is the basis for the fictional character “Hazard”, set to be played by Bill Moseley (House of 1000 Corpses, The Devil’s Rejects, Texas Chainsaw Massacre 2), in the currently-in-development television series Hell Hunters. 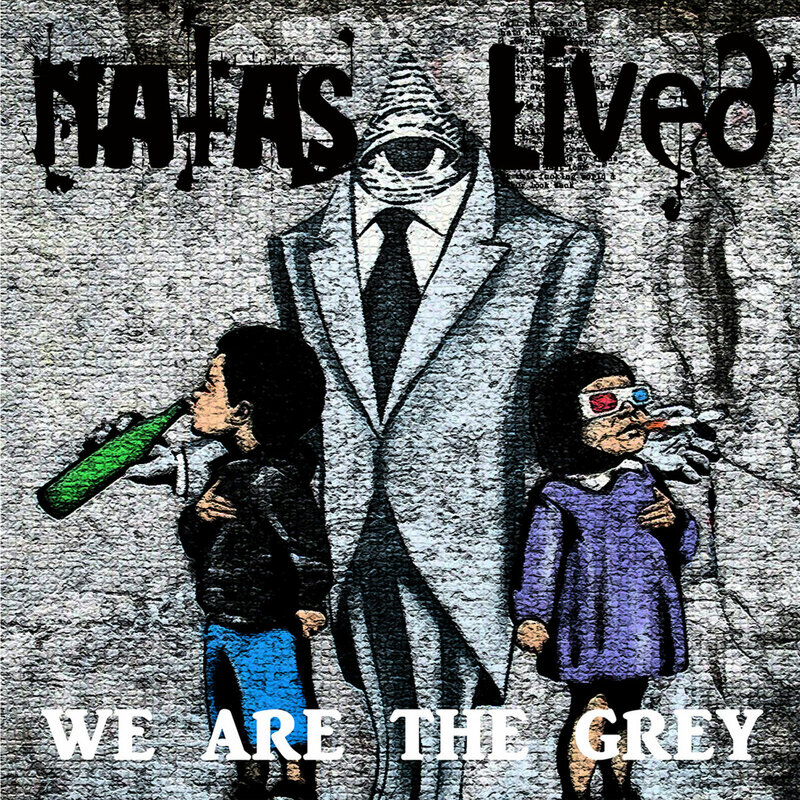 Hazaert got his start as a journalist, writing for national and international Music publications including Metal Hammer, Circus Magazine, The Green Bay Press-Gazette, Maximum Ink, and more, where he would befriend up and coming artists including Korn, Deftones, Papa Roach, Snot, and Incubus. Shortly thereafter, Hazaert secured an internship at Immortal Records, and relocated to Los Angeles. He was involved in marketing on high-profile releases from Snot,Coal Chamber, Human Waste Project, Korn, Static-X, Filter, Linkin Park,Crazy Town, Guns N’ Roses, Nine Inch Nails, Marilyn Manson, Bloodhound Gang, Chris Cornell, Tommy Lee, Zebrahead, Downset, and more.